Interested in establishing a hobby or small commercial vineyard? Already have vines you're not quite sure how to handle? Join Carmine Indindoli, who has established 125 vineyards throughout California and managed over 250 since 1970, for an afternoon of vineyard know-how and learn to grow grape vines like a pro. The course is designed in two parts - part one on establishing a small vineyard and first year care, and the second part on maintaining your vineyard. Part 1 is a summer course, and Part 2 occurs in the late winter before the spring has sprung. Please bring any questions you want answered! Click here to read an introduction from instructor Carmine Indindoli. Carmine Indindoli has vineyard experience going back to 1970. He studied viticulture at Napa College, Santa Rosa Junior College, and UC Davis. Carmine leads wine grape growing seminars, classes, and meetings yearly. He is a board member of the Sonoma County Vineyard Technical Group. He has established 125 vineyards throughout California and managed over 250 since 1970. 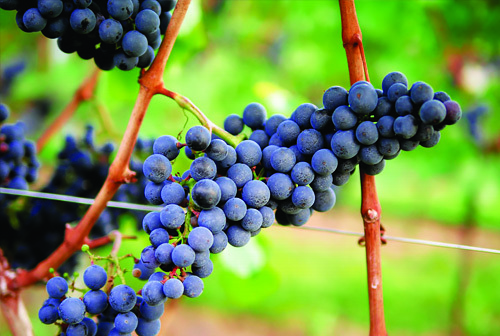 Carmine specializes in establishing small vineyards as small as 24 vines.